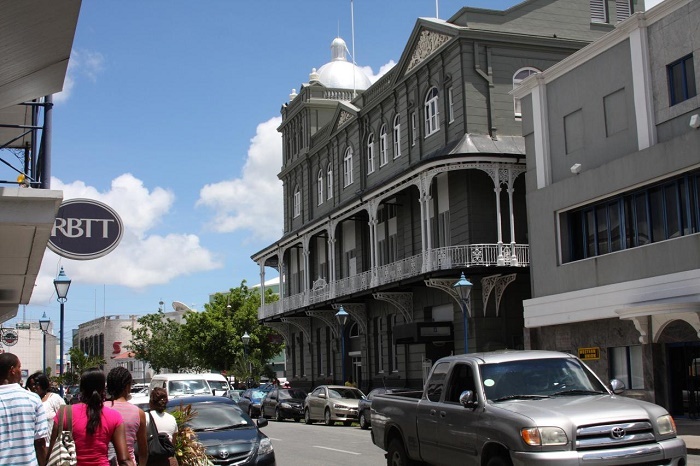 Mutual Building is a building which is located at the Lower end of the Broad Street in the capital Bridgetown, Barbados. 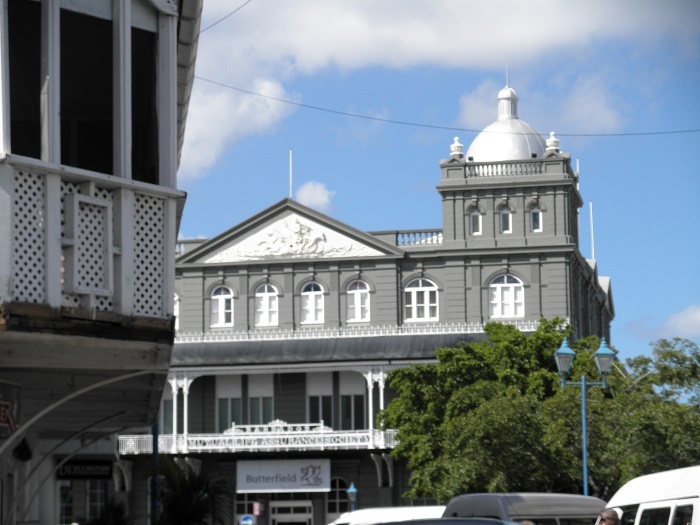 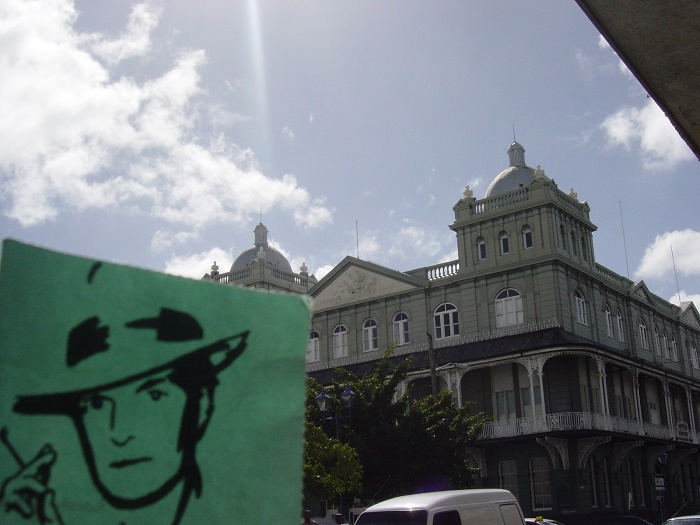 It is one of the most striking buildings you will ever see in Bridgetown, and it is big landmark of the city. 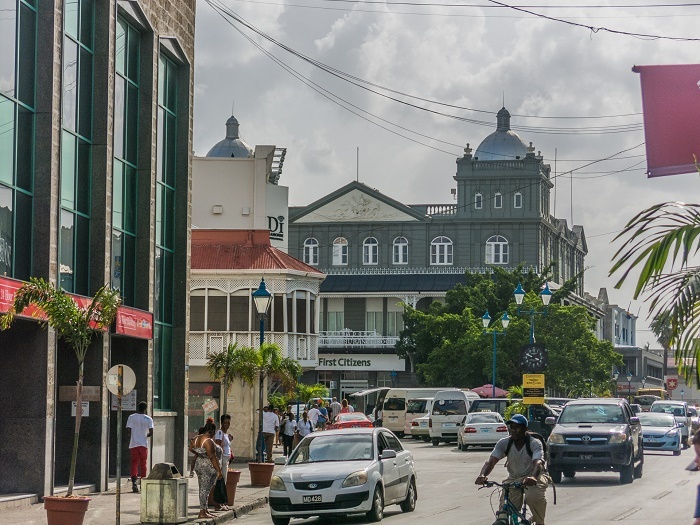 The Barbados Mutual Life Assurance Society (The Mutual) was established in 1840 after emancipation and, until its de-mutualization, was the oldest surviving indigenous insurance company in the Caribbean. 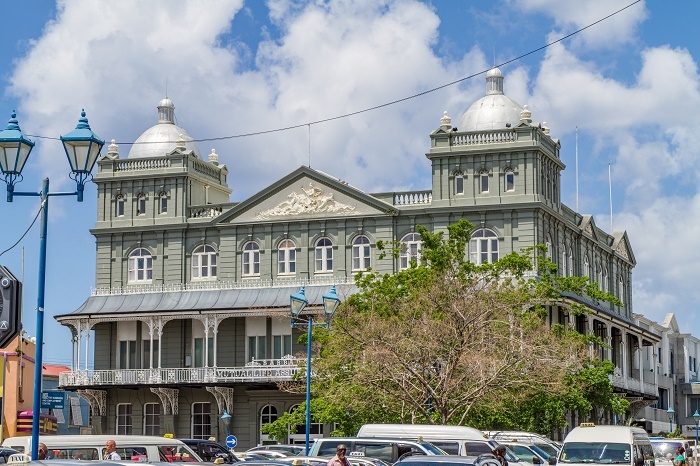 They of course needed a seat in the capital, and their official building was built in late Victorian architecture with silver domes which lend an aura of elegance to the city surroundings. 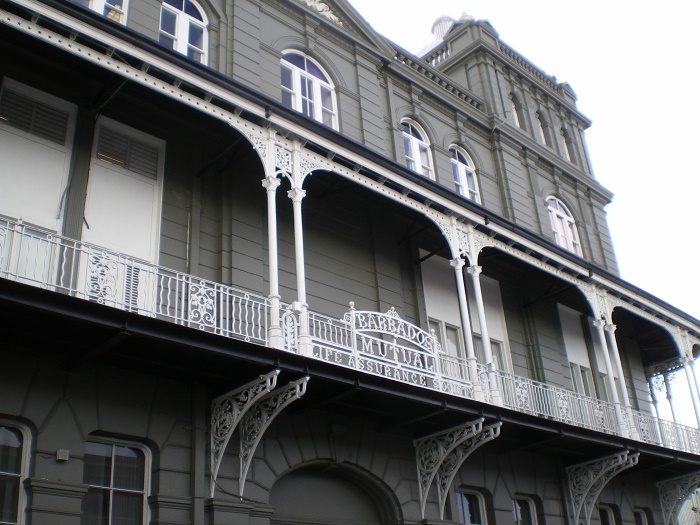 One unique feature is its full veranda on the second floor which almost fully encircles that entire floor. 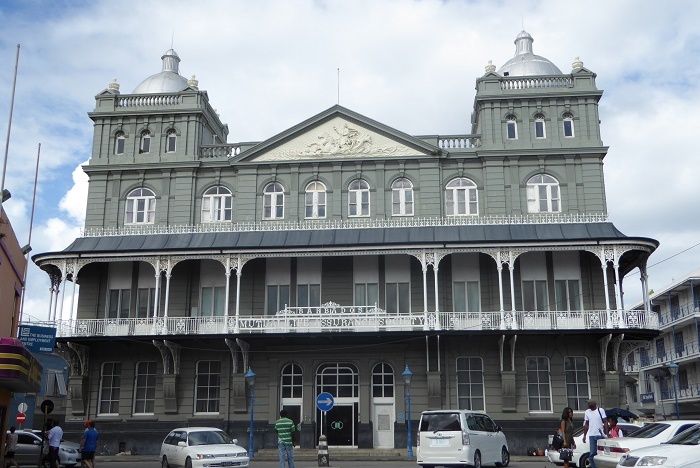 The Mutual was built around 1895, and it was designed by Messrs. Cossin and Peacock, an architect firm from England, but constructed by Mr C.J Greenidge who had earlier built the St Michael’s Almshouse, today known as the Geriatric Hospital. 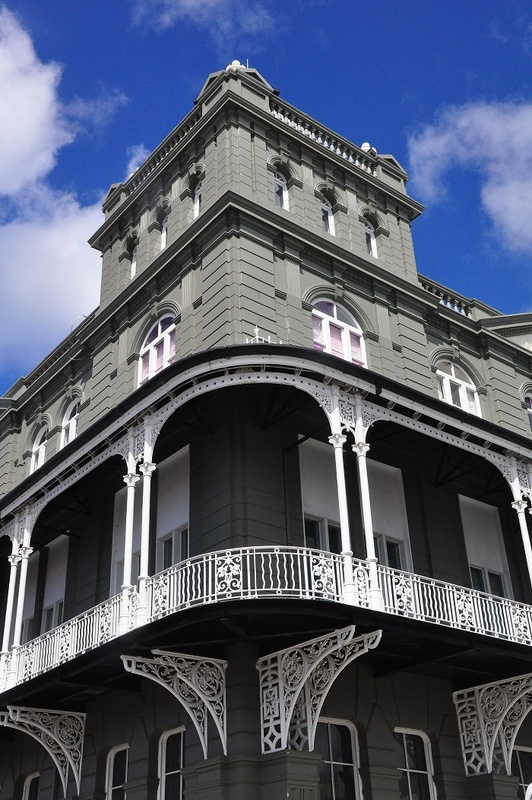 The original structure has been largely maintained, however the occupants have changed several times over the years. 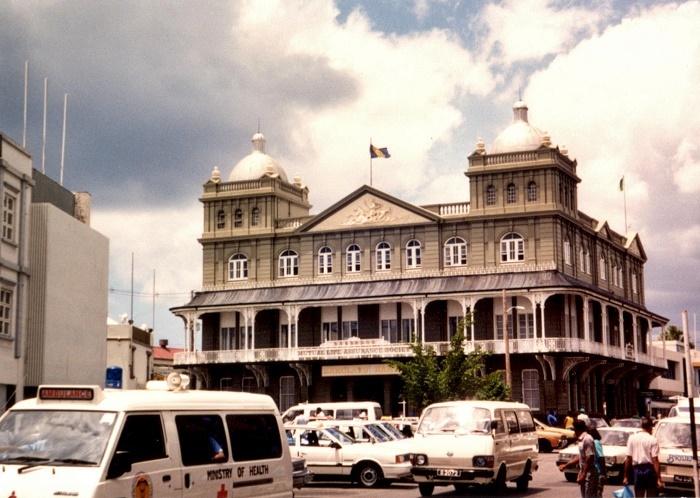 At one time, the building was called The Barbados Insurance Society Building. 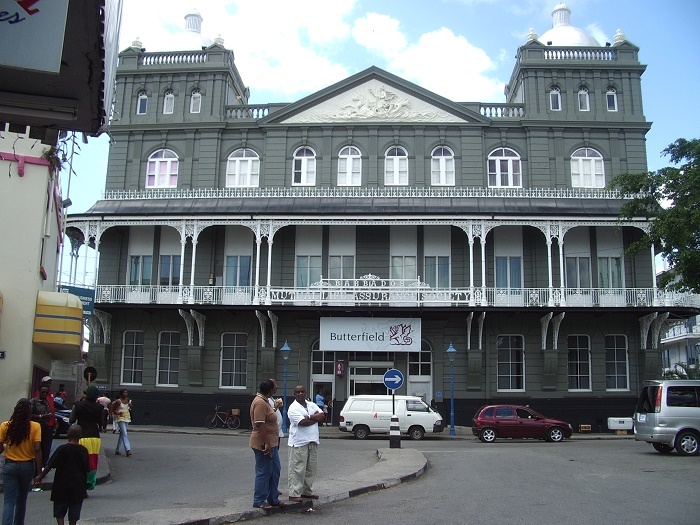 The Mutual Bank of the Caribbean once had a branch in that building, however that bank was restructured and is no longer in existence. 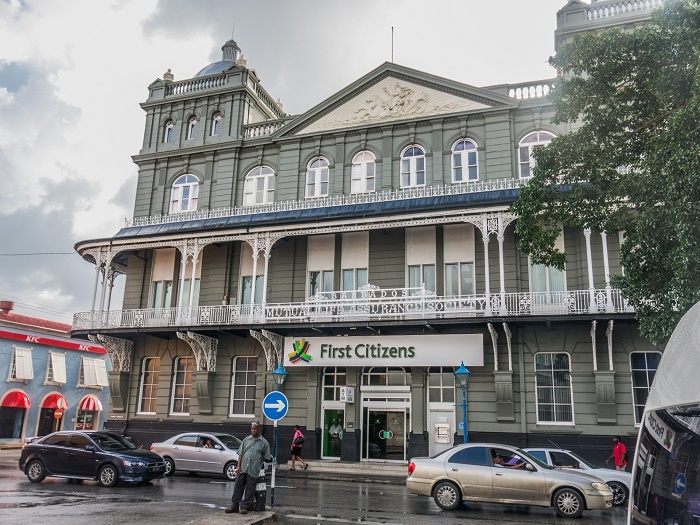 The building was subsequently sold to the Bank of Butterfield (BOB) which has a full branch outlet housed in that beautiful historical building. This alluring architecture definitely is a photographer’s dream, and there is no way the building can be overlooked once in Bridgetown, Barbados.